We are happy to announce we’ve launched a new website designed to serve you better. Featuring a responsive design that adapts accordingly you will always receive the best user experience. We’ll be updating the site with photos regularly. You can still book your next appointment easily online through our live online booking system. If you like the new site let us know, we love to hear feedback from all of our wonderful clients. 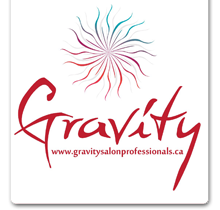 If you haven’t had a chance to experience Gravity Salon and Spa in person we encourage you to book an appointment today and let us show you why we are one of Barrie’s premiere salon and spa destinations!